Hours, days, weeks and entire months just flew by as we climbed, then we descended slopes, we pushed, then we pulled our bikes, we stopped then we went ahead and paved the road with our sweat. We are still doing that. Each road, each trail, each country lane, each river bed that caught our eye also became the object of our explorations. More often than not, we found things didn’t really work out, they didn’t meet our expectations or didn’t provide us with the feelings we were looking for. But we kept at it and are still doing it in an attempt to find and select those elements that we believe are a requisite for a complete experience. Which is not to say that we’re not having fun while doing it. In fact, we sometimes overdo the fun! Once selected, we bring together all these elements in packages that we strive to make as attractive and as comprehensive as possible. This is how we come up with our routes, programs and packages. We are offering a wide range of experiences, starting with half a day bike rides to mountain biking camps that cover several days and which allow you to combine the pleasure of mountain biking with learning tips and tricks regarding your technique, as well as basic rules concerning physical training, all of which is then topped off with breath-taking mountainous scenery, immersion in the life of a traditional village and contact with local customs. For those of you who have more experience in the saddle we are looking to provide an experience similar to mountain bike stage races, but leaving aside the specific requirements of such competitions, the stress caused by organizing the necessary logistics, and the effort involved in planning and establishing a route in an unfamiliar area, all of which are inevitable when planning a ride by yourself. As you sweat your way up on hard climbs and descend at high speed the routes we’ve designed, you will realize you are making the most of the entire potential of the area you’re riding through. 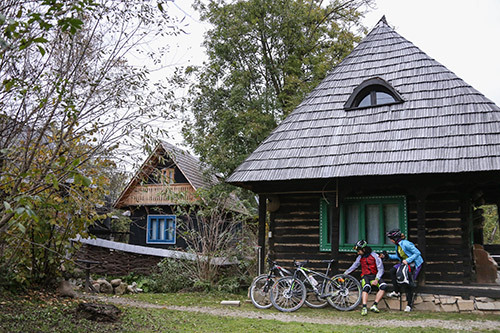 This will allow you to enjoy a particular and comprehensive perspective, taking you to places that otherwise remain unknown to most tourists and mountain biking aficionados. We’d like you to make the most of the time spent with us. 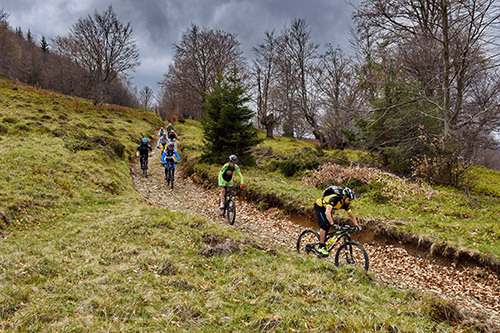 With this in mind, we have strived to incorporate in our routes those roads, lanes and trails of a certain region that are most appropriate for mountain biking, without leaving aside those traditional tourist attractions that are a key element of your overall experience. So what exactly are we offering? A different experience. How you choose to live that experience is entirely up to you. We’ve put together several packages and events that cater to various desires. 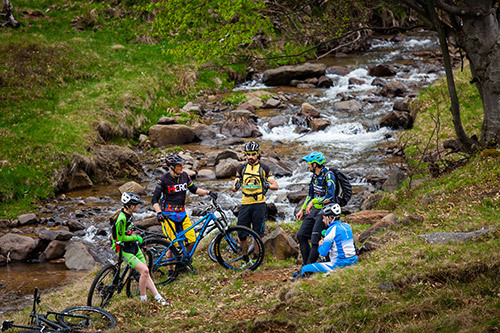 Going forward we aim to add more diversity to what we have to offer, both in terms of destinations and in terms of your own preferences regarding mountain biking activities.